It’s been a while since the last update. Although I have been watching Super League closely (as usual) I did not have enough time to write anything about it. Two of today’s matches, PAOK vs. Panionios and the rivalry battle of Panathinaikos vs. Olympiacos got my attention and I guess they got yours as well. Let’s have a quick look the four Sunday matches. The last away match of PAOK against AEK was a disaster (3-0 defeat). The final score could be worse and I must say I did not expect them to look so lost and weak. They do have the excuse of the early shock (the first goal was conceded at 1’) but great teams must show character when things go wrong. PAOK did not. The new win of AEK yesterday has pushed PAOK down to the fourth place. They must NOT lose this match. A draw is not out of the question but we must keep in mind that a win will boost their confidence for the upcoming Play Offs. Not to mention the necessity to get closer to Panionios before the Play Offs start. I was expecting Panionios to collapse during the second round but they keep proving everyone wrong. The players Vladan Milojević are extremely steady and they deserve their place in the standings. They have the second best defense of Super League and their away stats are even better than Olympiacos’ who has the most expensive roster. Amazing. Can they hold? I believe they cannot. No matter what happens during the regular season, the Play Offs will be a totally different story. PAOK stronger at home (8W-1D-2L) as usual; especially in important matches. Their last home win against Olympiacos (2-0) proves that. Panionios may be the best away team of Super League (7W-3D-2L) but their stats do not include Toumba venue. I vote for motive expecting a win with a score like 2-1. If you are willing to risk more, the option Over 2.5 goals @ 2.25 looks fine. I believe that if Xanthi was interested in the Play Offs they would not have lost the last away match against AOK Kekryra (1-0). Levadiakos is the worst away team in Super League (0W-2D-10L), they need any points they can get and they are used to fight to avoid relegation. Xanthi is strong at home (6W-4D-2L, goals 11-6), there is no doubt about it. I just cannot trust them after their last result against Kerkyra. I will vote for the underdog here. The win of Levadiakos @ 8.00 will not be a shock at this point of the season. This season: Giannina – Asteras Tripolis 1-2. Referee: Evaggelou, 4 home wins – 3 draws – 0 away wins. The return of Staikos Verghetis at the bench of Asteras Tripolis was combined with a positive away result (Levadiakos 1-1). I never understood why the officials of the team allowed Verghetis to leave at the first place. He is responsible for the best placements of Asteras in Super League and their best European moments as well. It was a wrong move to let him go and this (disastrous) season is the proof. Giannina are out motive as they cannot catch up with a top 5 placement. I will not be surprised if coach Petrakis will spend the rest of the season experimenting with his lineup. I do expect to see Verghetis to get his first win sometime soon but this does not necessarily mean it will happen today. Giannina are a steady team with a very good coach. Even if they will use a secondary lineup, I doubt they will surrender easily. This is why I expect to see goals from both sides. Attention: Rivalry battle, the fans of the two clubs hate each other. You probably noticed I do not even bother to discuss absences or lineups in any of the matches above. I do not intend to make an exception here. I am aware the game Panathinaikos vs. Olympiacos a rivalry battle. However, if you had seen the things I have seen over the last years, you would realize these two clubs occasionally forget their differences and join forces. Let’s have a quick look at today’s facts. Fact 1: Panathinaikos has disappointed the fans again. The second most popular team in Greece struggles in the fifth place and the financial problems are back. Coach Ouzounidis looks like a success story compared to his predecessor and the truth is that in some matches the Greens had great performances. However, they do look unstable, especially when playing away. We witnessed that in the recent (unexpected) away draw against Iraklis (1-1). Panathinaikos is a lot more reliable in front of their crowd (8W-2D-1L, goals 23-4). Fact 2: Olympiacos is not as strong as they used to be. Their roster is weaker than previous seasons but they still lead the standings of Super League despite their recent 3 consecutive defeats. The officials do not look worried as they chose a temporary coach (Vouzas) to guide the team until the end. His successful debut against Atromitos (2-0) was followed by the disaster against Besiktas (4-1 away). They wasted the advantage of an extra player for 50+ minutes and managed to concede 3 goals although the score was 1-1 at 31’. Panionios might be close but 6 pts look like a safe distance until the end of the season. Not to mention the friendly bonds between Olympiacos and Panionios. If the Champions will lose points, I am making a “wild” guess and say that Panionios will too. 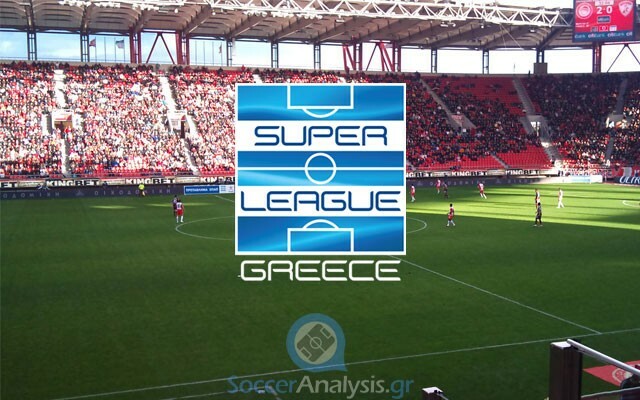 Fact 3: If Panionios will lose points at Toumba (probable), Olympiacos can afford a new defeat. Both teams have found many ways to disappoint their fans this season. The only reason for my pick is the 3-0 defeat of the first round. The fans of Panathinaikos want revenge even if it is by 1 goal. Considering the poor morale of Olympiacos, I will also choose the handicap win of Panathinaikos (-1.5) @ 4.50. After all, the home team changes between draws and emphatic wins lately. And they do come from an unexpected draw against Iraklis (1-1 away).